Install and activate the add-on first. There is no setup for this add-on. 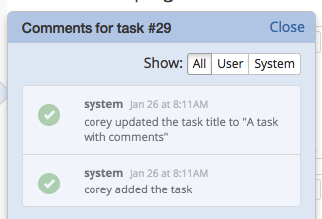 Once the add-on is installed and activated, there will be a new icon on each task under the task menu.  Click on the task menu, or hover your cursor over it, to see the icon. Click the icon to expand the comments window. Click the icon again to hide the comments window. There are two kinds of comments: system and user. 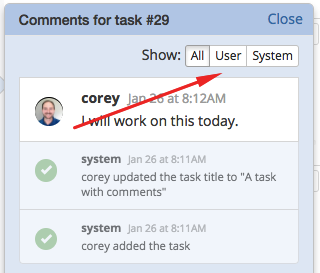 System comments are added automatically. They ae a log of changes to the task. User comments are added by users. To add a comment, use the form at the bottom of the comments window. 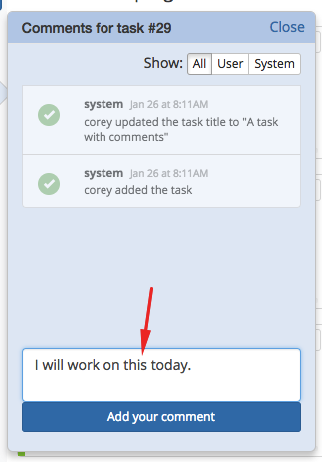 Once added, user comments are mixed in with system comments as a timeline for the task. To see only system comments or user comments, use the filter buttons at the top of the comments window. 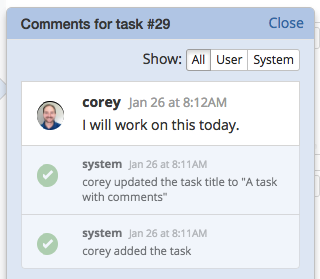 Thanks for trying out Kanban for WordPress! 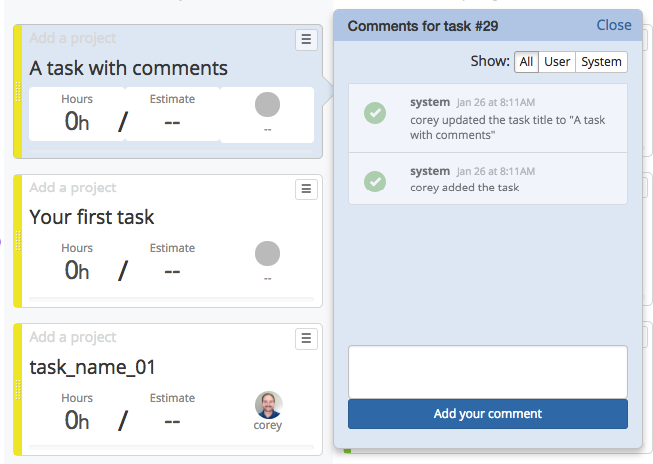 We're always adding new features and updates to make Kanban the best solution for you. Keep up-to-date with everything we're doing. Enter your email address below to join our newsletter. Please make sure that email address is valid. No thanks, just download the plugin.